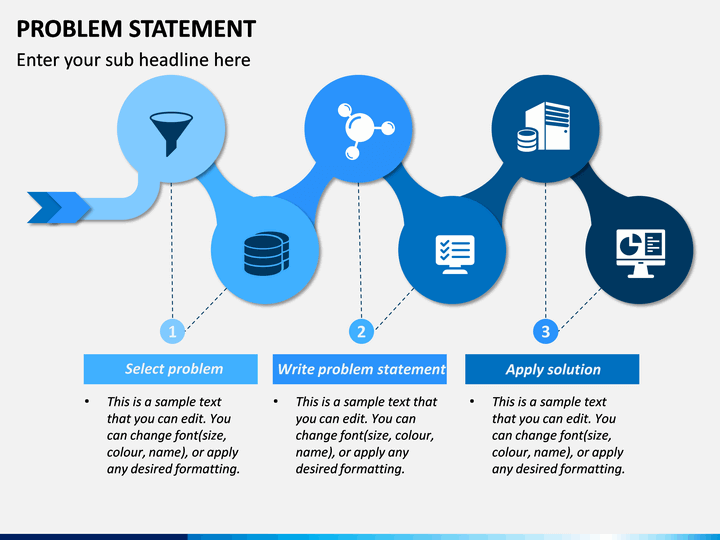 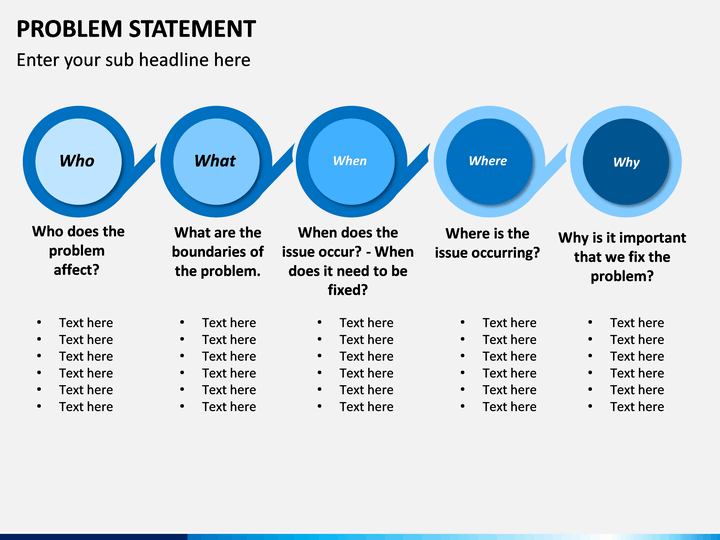 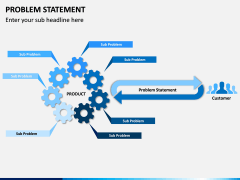 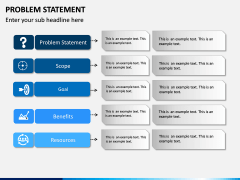 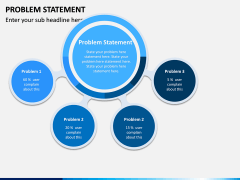 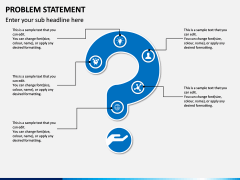 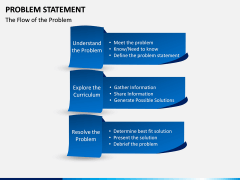 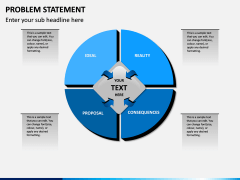 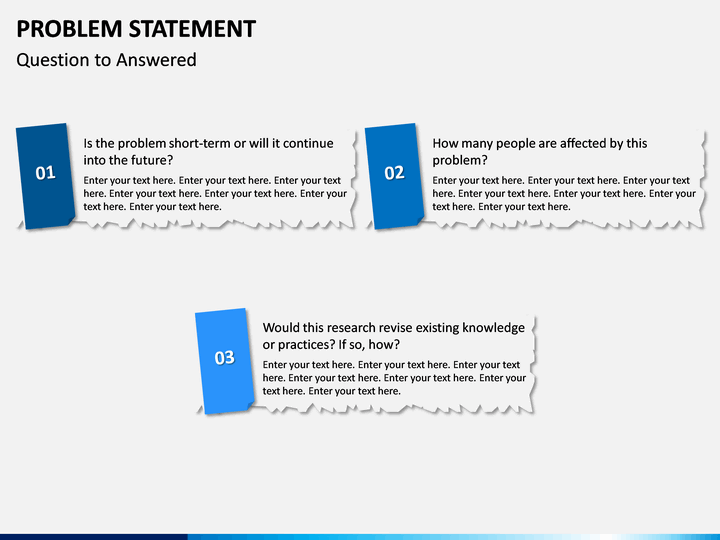 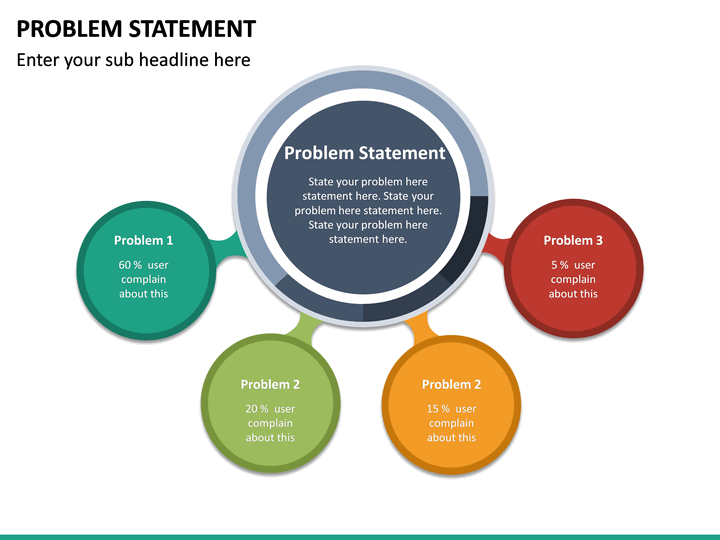 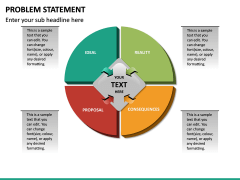 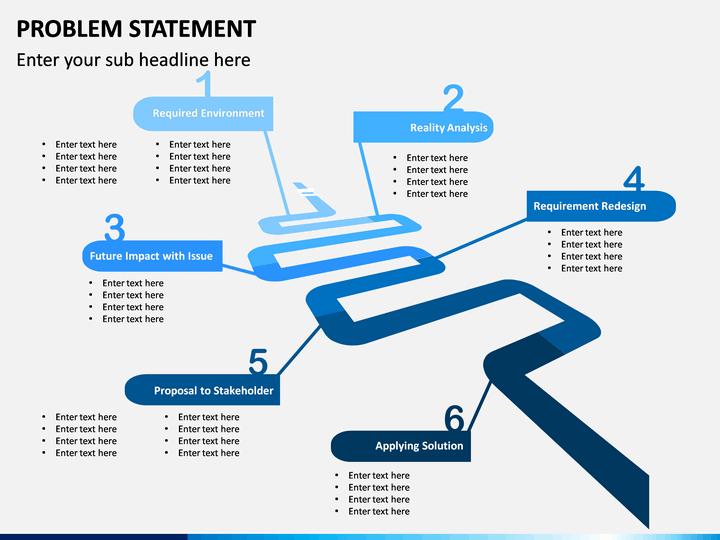 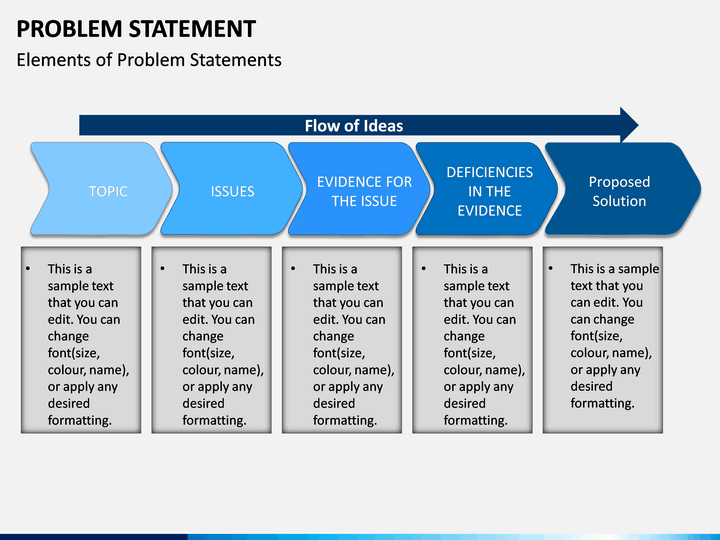 An all-inclusive and entirely editable PowerPoint template on Problem Statement to draft an impressive presentation. 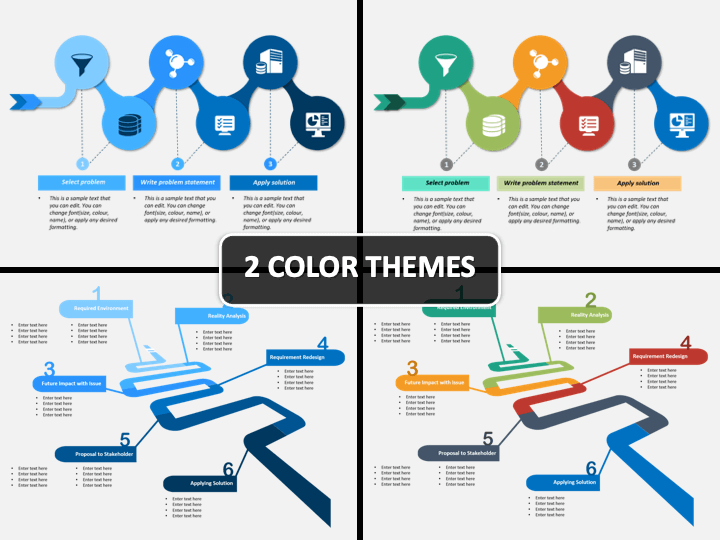 It is available in different color themes. 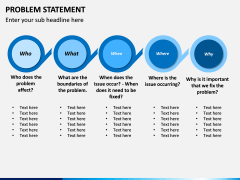 No thanks continue to checkout Problem Statement Template . 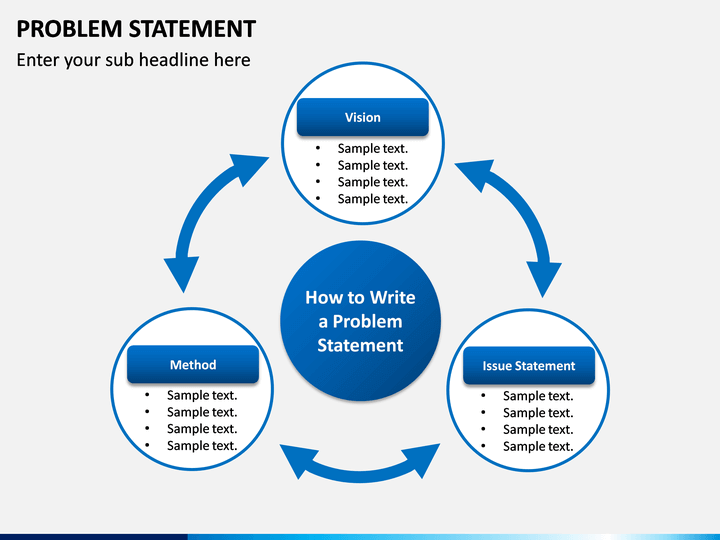 In order to resolve a problem, it is important to come up with a detailed statement. 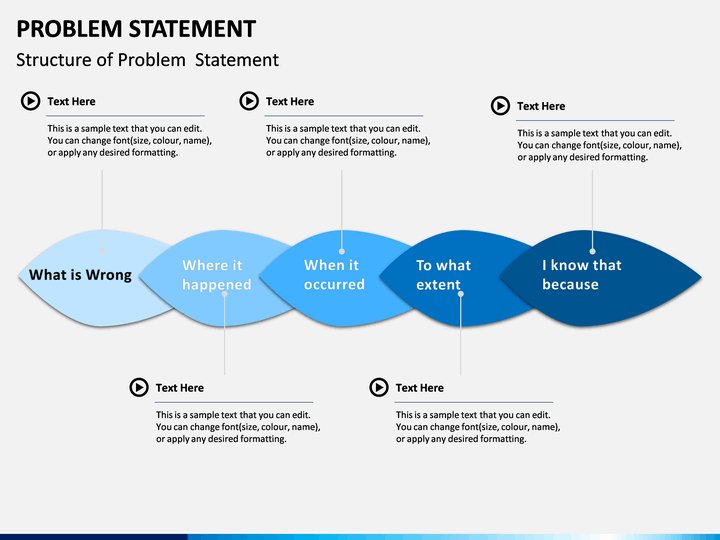 If you want your audience to draft the right problem statements, then start by educating them about it. 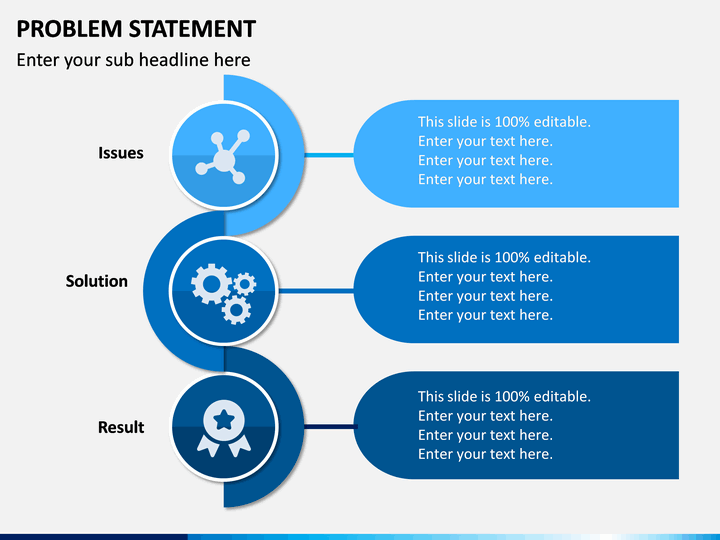 To do the same, simply take the assistance of this readily available and entirely editable PowerPoint template. 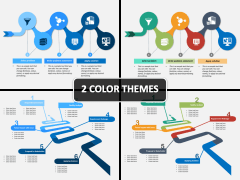 The set features all kinds of vector-based illustrations, exploring the topic in a comprehensive manner. You can easily edit these graphics and customize them with a few clicks. It is based on a master slide and comes with a dedicated customer support. 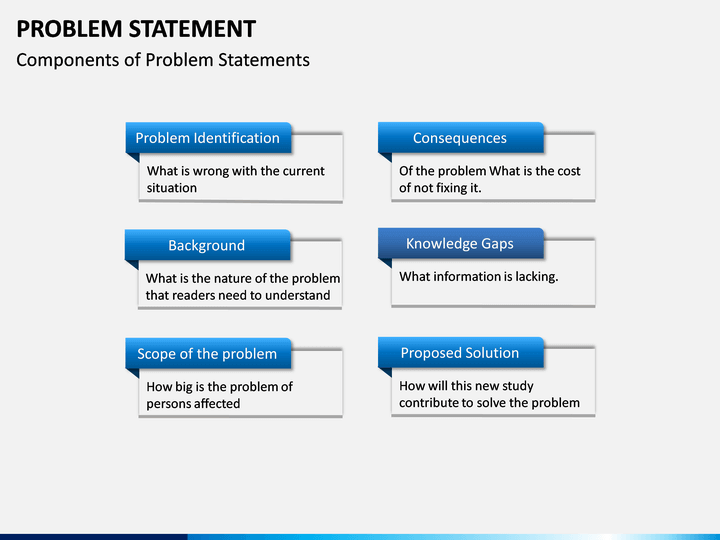 It has included various informative and editable slides about the topic. 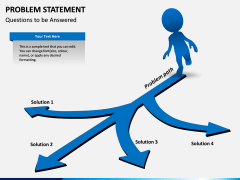 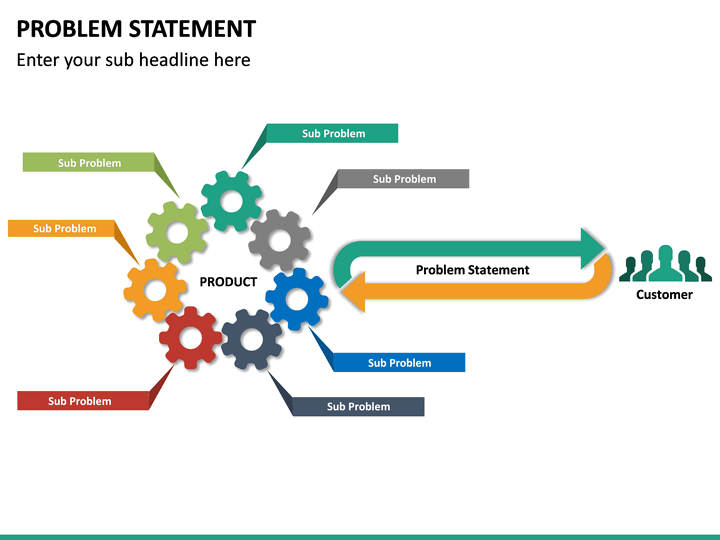 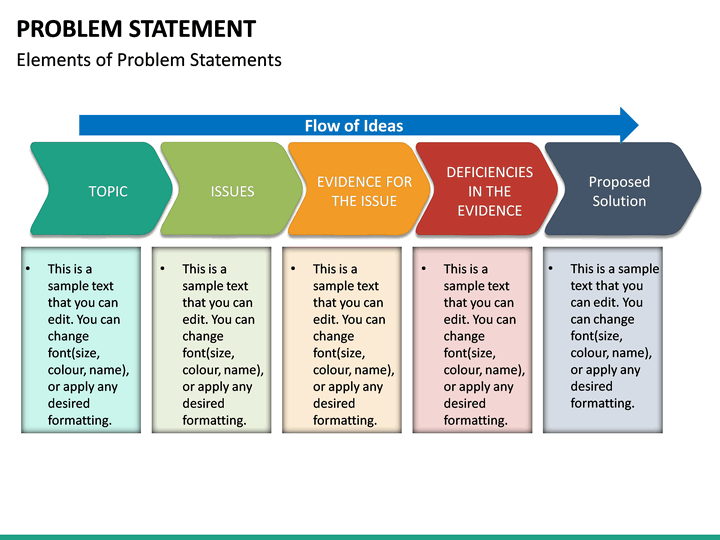 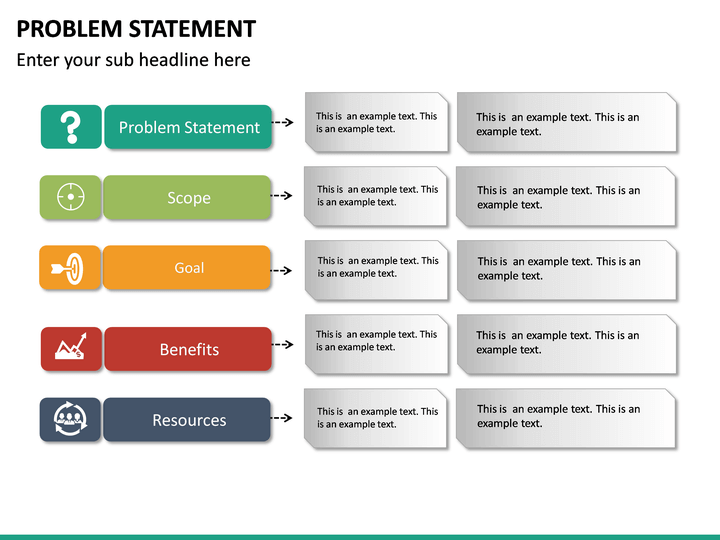 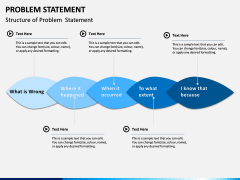 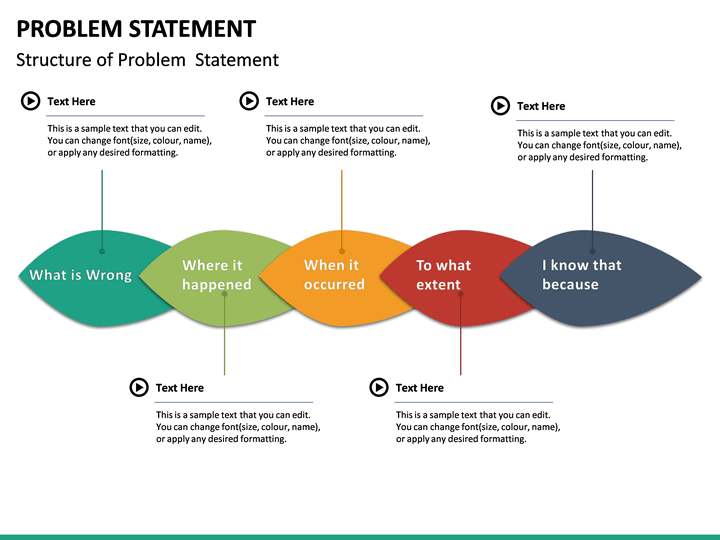 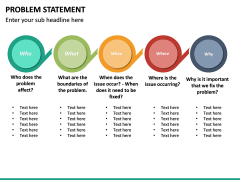 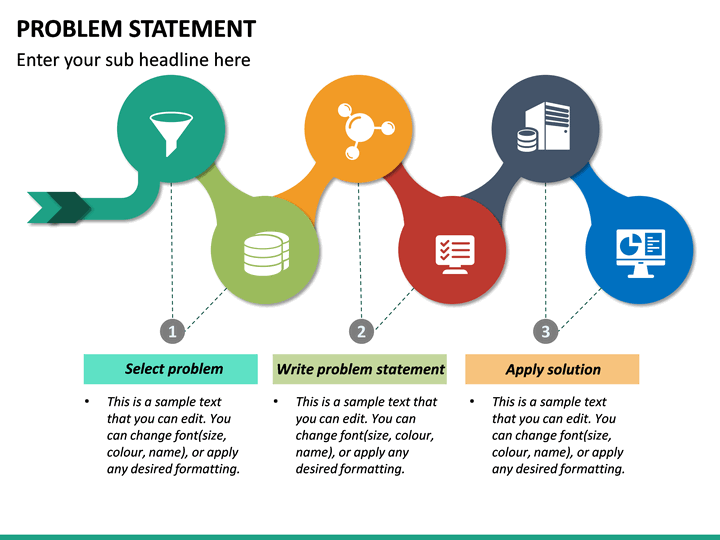 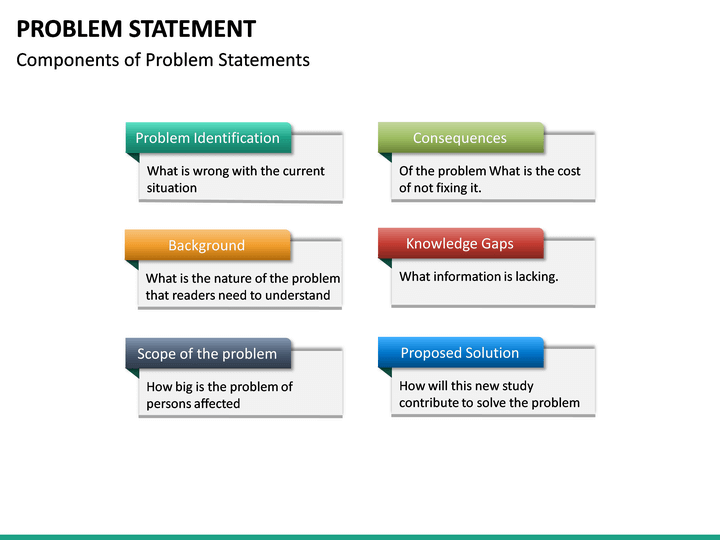 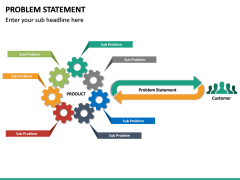 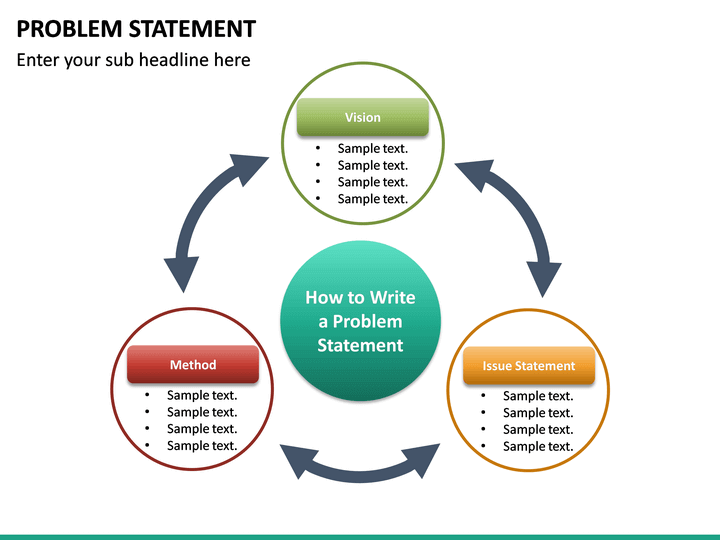 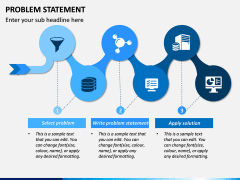 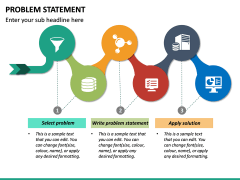 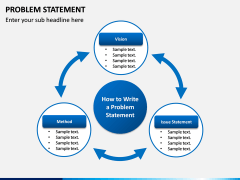 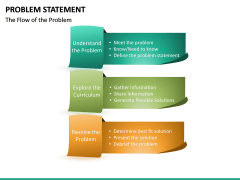 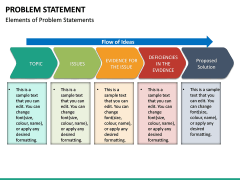 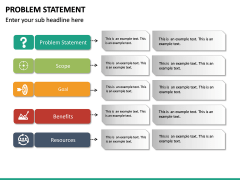 You can easily educate your audience how to draft a problem statement and what are its important components. 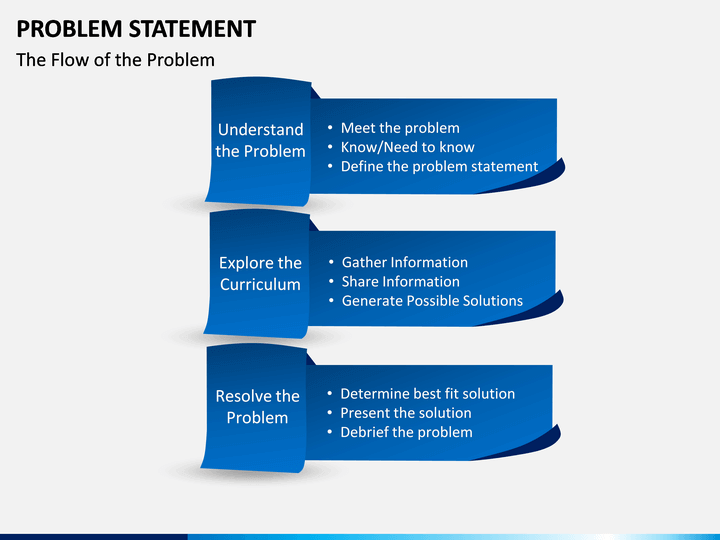 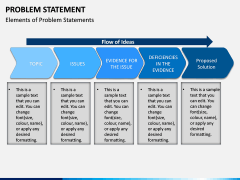 Furthermore, you can explain the problem-solving flow and how it is related to issues, solutions, and results. 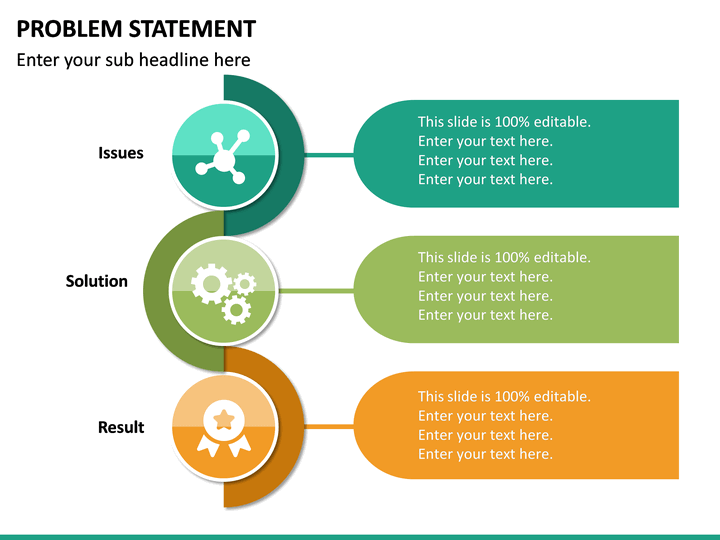 There are dedicated illustrations about its components and structure as well. From relatable human figures to maps, there are all kinds of illustrations in the set to explain the same. 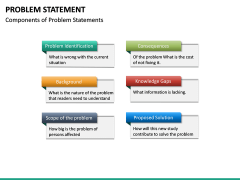 In a nutshell, It is a thoughtfully drafted description of a problem that is to be solved. It includes a stepwise approach that would change the present state and attain the desired state. 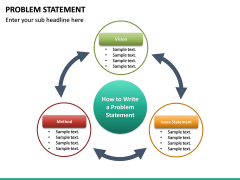 A good statement should include the background, the needed results, how to attain it, the major issues, how to recover it, and more. 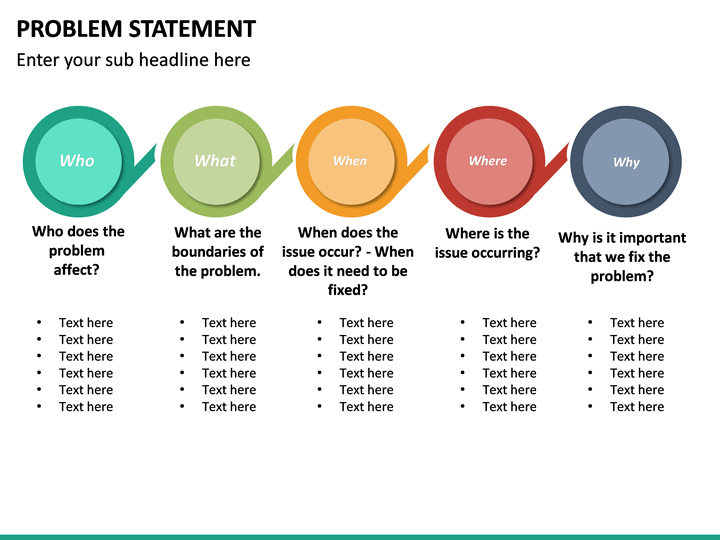 Ideally, it should address the 5 important W’s: Why, What, Where, When, and Who. 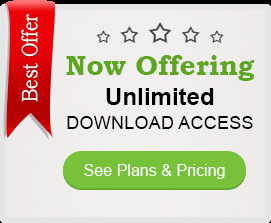 Since the subject plays a vital role in almost every industry, professionals belonging to various domains can use it. 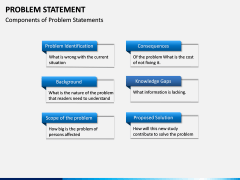 It would be highly beneficial for business analysts, corporate strategists, project managers, quality analysts, subject matter experts, and so on. 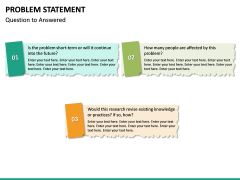 Educators and trainers can also readily use the set the way they like. Download the template once and use it as many times as you want. If you wish, you can readily use it or simply clip out any illustration of your choice. 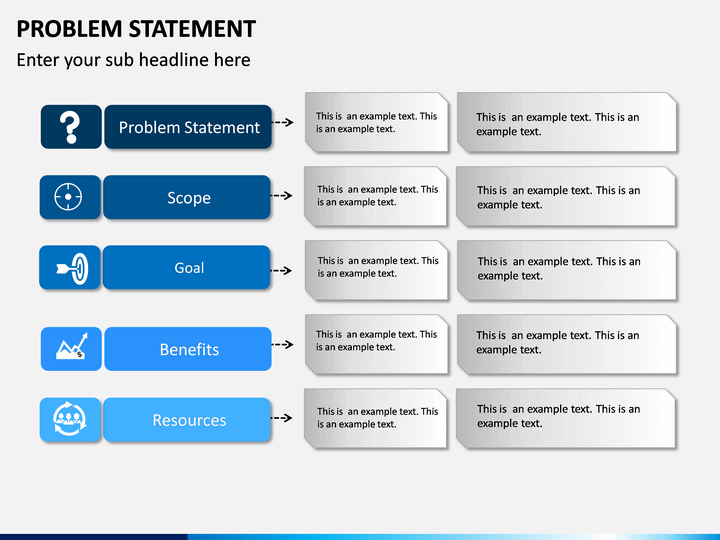 Since it is based on a master slide, you can easily customize it and make the needed changes in minutes. 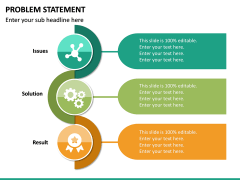 Alter its overall layout, add your own content, and do so much more. The entire set is available in different color themes as well so that you can save your time while drafting your next presentation.